Enter a decent sized room, dim the lights, switch on simply a lamp or light an array of candles. Zip open a favourite track, and dance, dancey, dance-arolla. Music makes our bodies jump, gyrate, twist and swoop, sensual or at least freer. Music overflows with tunes, lyrics, sounds as compelling as the smell of good food, or the feeling of someone's kind touch. Sounds we love (and hate) accompany and trigger memories, suggest ideas and scenes we'd never think of otherwise, and music enlivens our spirits like fresh air, good news, or a welcome holiday. Those who play an instrument well instantly appeal to others, are idolised, and loved. 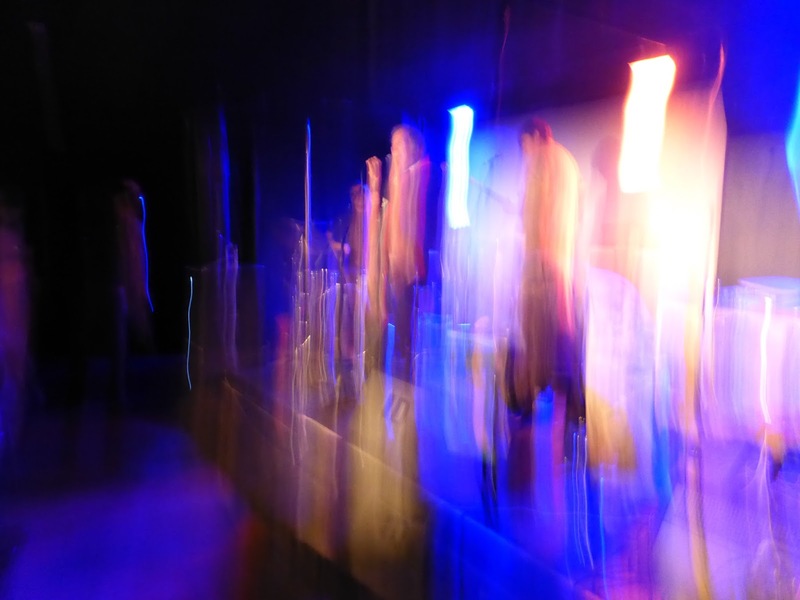 Even simply halfway good musicians receive encouragement - an audience hears the promise of better sounds suggested between off twangs and odd riffs not quite on beat, nor yet all that fine, but with something to them. Sociable and often gregarious themselves, aiming for other people to get along and enjoy a few hours, musician friends for many decades have assisted me to be more sociable than I'd achieve otherwise. I'm ever grateful for their talent and friendship. Also, I'm extremely happy to see someone I am pretty sure I do not know has given my latest novel, Glam Rock Boyfriends a five star review on Amazon. Finally, a reader who gets the book, and who the story is for, someone who shared similar experiences to the main character, Athena, and who understands what she went through. The fifteen or so stories this one novel is based on were all true tales from people who worked to change their lives for the better. Anyway, I'm delighted someone read the novel and enjoyed it so much. The rock music industry, (and any popular culture activity like writing novels), depends upon those musicians, artists, designers, crew, promoters, managers, retailers and more, deserving and receiving enormous amounts of support. In old age or when ill, some performers are not remembered as well as in their heyday, past times when fans clamoured and struggled for just a glimpse of their idols. But usually when a popular musician passes way, fans mourn them as if they were personal friends. Someone told me once that music was always a reliable friend. It follows then that when someone who's played this comforting, exciting, commanding stuff is gone, it can seem like the music itself also disappears. 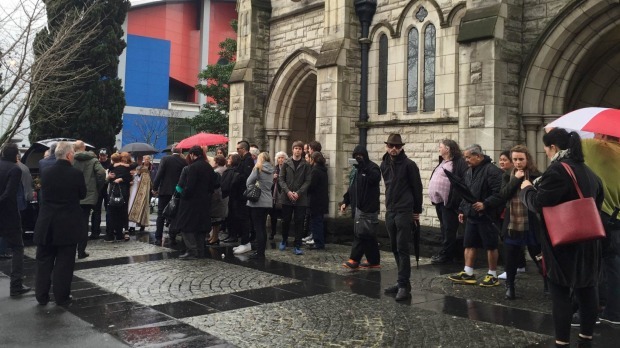 Countless people farewelled Graham Brazier this past week. My daughter and I attended his funeral at St Mathews-in-the City. The huge place was packed, and rain sheeted down outside. Graham had died of another heart attack in the rehabilitation centre where he'd been taken to recover from an earlier one, I gathered. But you may find out such information from various places online. What I want to write about was how much these blessed men and women of music give to the general public, and how much of their lives they dedicate to ensuring we have a great time. Graham was a good example of this generosity. I recall seeing Graham Brazier outside a Grey Lynn cafe a while back now, say eight years or so. He mentioned just getting out of hospital after a bout of pneumonia, after I asked how he was and explained I once knew their roadie Lindsay, really well, (along with discussing other bits of this and that and the other). A fascinating hour followed in mild sunshine sitting outside Occam Cafe, listening to Graham recite fine poetry, and also explaining he was writing short stories. I hope they surface at some point. I liked seeing him striding around with his lovely wife at the time, and their golden labrador, Graham in tight jeans and a black singlet with muscles bulging. Rock stars tend to look just exactly what they are, and often seem quite a startling, commanding sight. It was fun to have another eye-catching character so obviously in the neighbourhood, to my mind, even if some envious or dull others muttered various dumb or dismissive comments. Then we also bumped into each other at a book fair where he tended a book stall for his mother's Brazier Books. Graham had told me I could like to see what was on offer. I would guess their shop will keep on going, it's such a cool place there in Mt. Eden Rd, I do hope so. Called Graham a few times to encourage his writing prose. 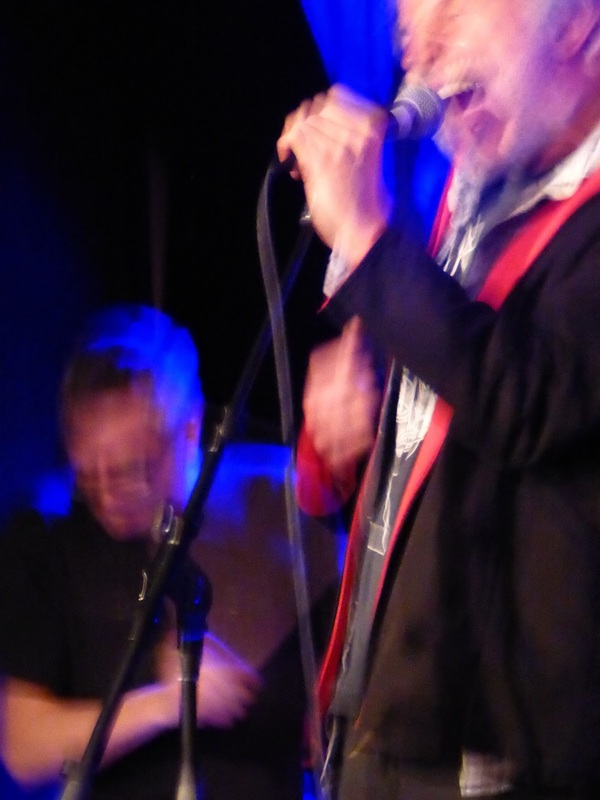 (Once he saw me in the Grey Lynn Tavern, too and told the assembled crowd what a wonderful poet I was - so kind of him). But anyway, that cafe day Graham also said he would go back to the hospital with a poster for the nurses about a gig Hello Sailor, (I think it was) were doing that weekend, and invitations for them. I wondered if he couldn't just mail these materials. I was concerned about his illness. "Take it easy." He looked at me as if I spoke an alien language. Graham would go in there to that hospital, and make sure those nurses knew they were definitely, personally invited to this gig. Then there are legends like Peter who's run the Alleluya Cafe for eons, in Karangahape Road, or K' Rd. "A star-maker," I said he was, and with all his arts-encouraging, and gorgeous young people employing, Peter did sure polish up some sparkly sights, and set alight a few sky rockets too. I called him my foster father for years. Definitely gratifying to think Peter was in my corner. Many people would love Peter for a dad, and he commented a few regulars had adopted him like I did. (My own father had passed away). Peter, a fine merry gentleman, but serious when necessary, clever, but no show-off, fit, careful, a great conversationalist, and loved by tens of thousands or even millions it may be by now. Worked hard, knew when to take it easy, one of the first people ever to go on the internet, and o that lovely smile. I want to ghost-write his memoir, and suggested this. He told me, "Make it up." laughing, what a great grin. His hand warm on my arm. The Alleluya was sold recently. Their facebook page says no one is making Peter leave. The business was simply sold after 21 years in business. The next cafe will be just as wonderful. Memories so race on in. An excellent gathering place for such a long time, seems like Alleluya Cafe always existed there in St Kevin's Arcade. Poetry Live called it home for a while. I enjoyed my second novel's book launch there, (Concrete, from Penguin). 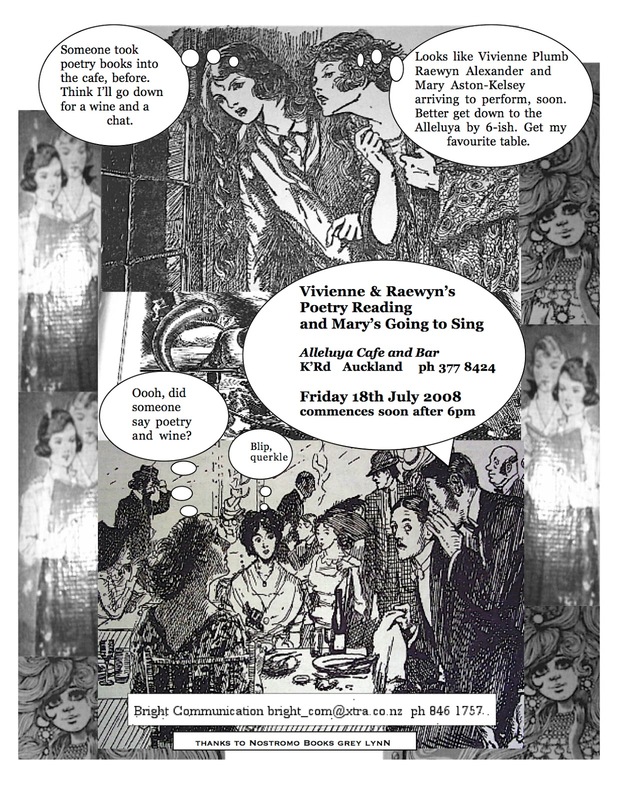 Did a poetry performance with Olwyn Stewart and David Lyndon Brown, too, one night at Peter's cafe, and Vivienne Plumb and I performed at Alleluya for Aotearoa NZ Poetry Day one year when she first moved to Auckland. Wonderful to hear Mary Aston-Kelsey's opera soaring through the place, too. I'll add some photos to this blog soon from that launch. Heartening to hear Peter shall enjoy his retirement in a fine villa and with good company. Do call in and enjoy Alleluya Cafe before it turns into something else. The developer who just bought St Kevin's Arcade is only in his 30s. Someone told me his ego seems to be getting in the way of his team's great ideas ever truly gaining ground. I hope that situation changes and the fine place we know and love as St Kevin's stays as gorgeous as it is now, overall, only a bit more lovely in places where it rather needs a schjuzz. And myself? Ah the many splendouredness of love encourages me to keep on drawing my comic. A graphic poetry collection called Nothing and Nowhere (but Love). The pages in pencil, then black ink, then coloured pencil, (then once more over the black ink), take forever to draw. But I need to work at lecturing, and teaching, and other writing such as for the NZ Fashion Museum, to survive, plus I seem to be a bit old now, (dodder dodder), and there's the love of my life to enjoy times with, so it's slow going on the comic front. No grant I applied for was successful, either. It often feels like a punch or an attack of some kind when they're turned down. Each grant application takes hours or days of work, then nothing happens. But I must not dwell on disappointments, or I'd waste my valuable time. A page features above, from my graphic poetry collection, in progress. What do you think? Perhaps I should try a crowdfund campaign, so I may finish it more readily? Contributors could get a free copy and a lovely party at the launch, along with perhaps some other fine rewards? I do believe that's how this style of fundraising works. Please comment on anything here, great to hear from you. Do also offer suggestions for ways to raise funds. Otherwise offers of editing work, are welcome, or writing or manuscript assessment work, or tutoring or lecturing re any kind of writing, also drawing or illustration projects, most gratefully received. My classes in Creative Writing start at Leisuretime Learning soon. 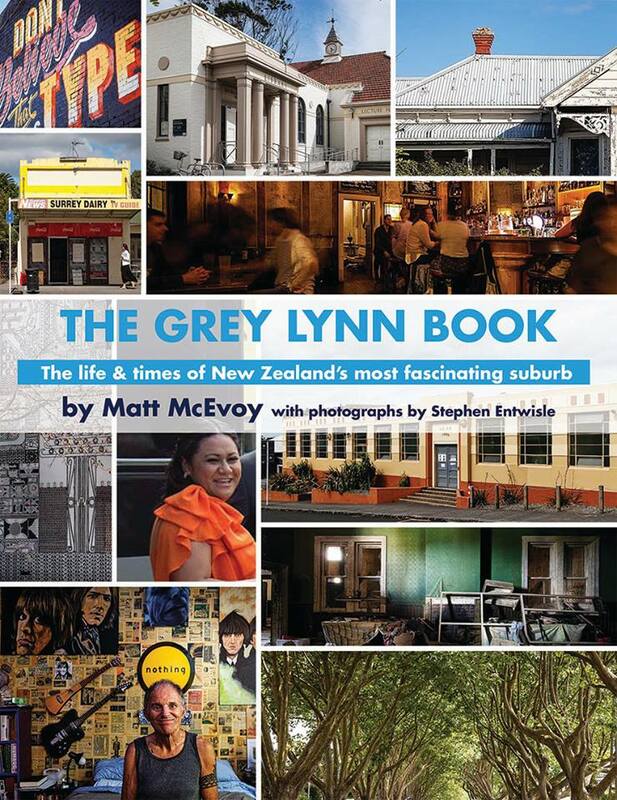 One of the successes has his big book about Grey Lynn soon to be launched. The cover is shown below.